Cover all laws and liability issues with a personalized rental lease agreement. We prepare the agreement with all your lease terms in mind, ensuring it documents which party is responsible for utilities, appliances, landscaping, and other aspects of the rental. You must be clear on where you stand when it comes to rent amount, security deposit, length of lease, move date, and utilities responsibility. This will help us efficiently manage any attempt by prospects to negotiate your lease terms. Our lease agreements are generally derived from the local standard lease that majority of property owners use in that region. We consistently review our leases with local real estate attorneys to adjust to changing dynamics in local rental laws and regulations. 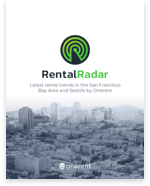 To see a sample of the lease, contact us at sales@onerent.co.